Rain is falling rapidly, at a rate of 1-2 inches an hour, as Hurricane Florence moves across the state. Watch for streams and water levels to rise quickly. It’s important to remember that conditions can quickly change! It only takes 6inches of moving water to knock an adult off their feet! 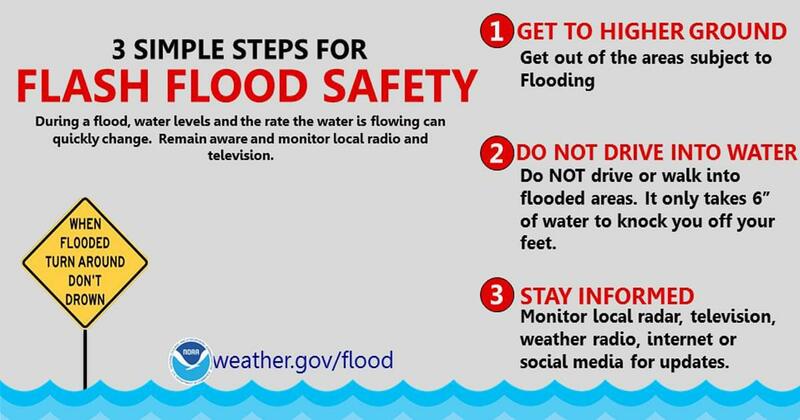 Get to higher ground – get out of areas that are subject to flooding. Do NOT drive into water – do NOT drive or walk in flooded areas. Water can be much deeper than it appears.